Seems like everyone is starting a photography business these days. These buy-a-DSLR-and-open-up-shop photogs need a wake up call, they are not photographers. Being a photographer means owning more than one lens, and most of all knowing about basic lighting and composition. Ginger and Mary Anne are sisters from different misters. 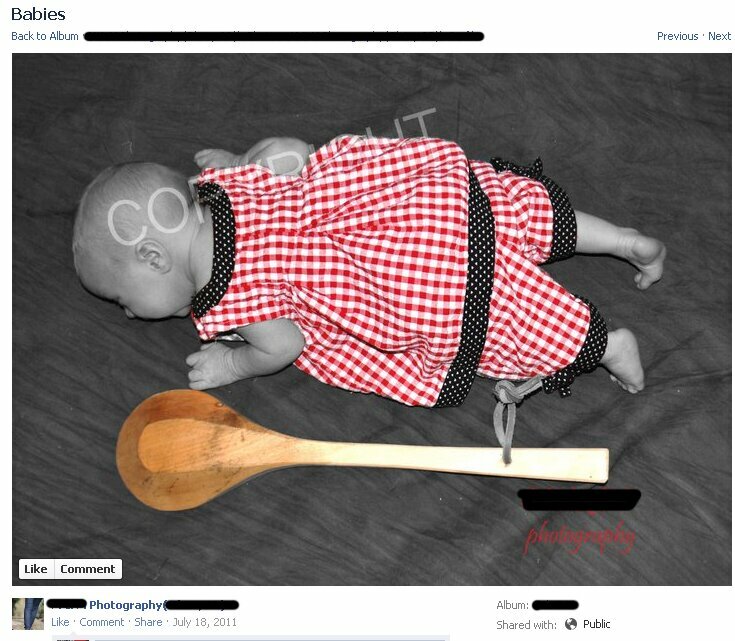 One night they sent links to awful “professional” quality photos back and forth and “You Are Not a Photographer” was born. Whoever came up with this concoction of pixels ought to be banned on threat of death from ever using Photoshop again. It’s bad enough that any individual, photographer or otherwise, should have concocted the absurd idea to Photoshop an infant into a flower. I’m sure many people have done very strange and very bad things in Photoshop. What is both worse and perplexing is why this fauxtographer should seek to display this deranged production on the web, with their URL no less embedded in the image! In some sense, I’m not at all surprised that people take bad photographs or create abominations in Photoshop. What’s surprising is how many people seem proud of their bad photographs and Photoshop abominations, so proud that they feel compelled to post and thereby inflict their horrors on the rest of us.